I put up a few more photos from our anniversary trip [here!] 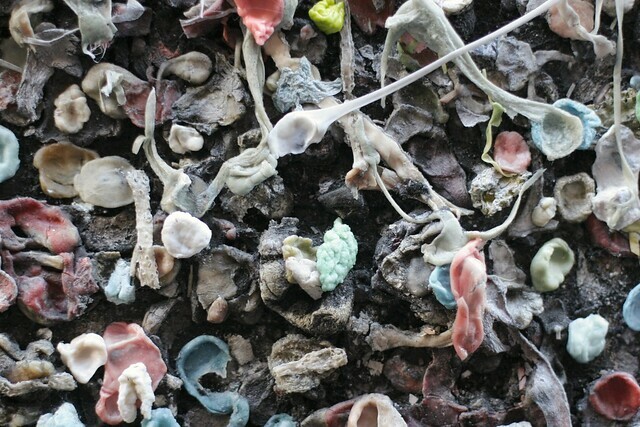 and wanted to share one of my favorite attractions anywhere, which is also by far the most disgusting attraction I know of — the San Luis Obispo gum wall. 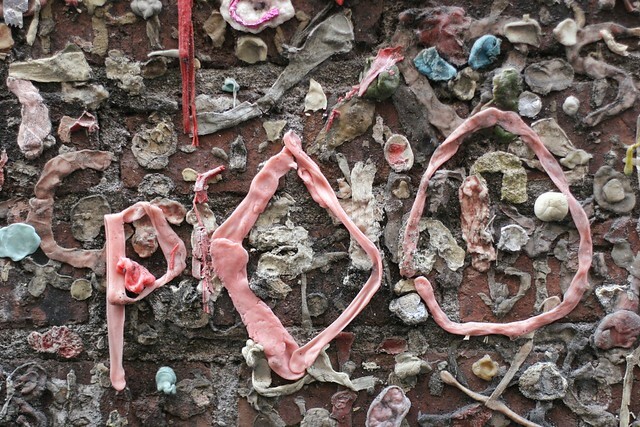 It’s a little walkway between two buildings, the walls of which are completely covered by ABC gum. It’s very cool but very gross. 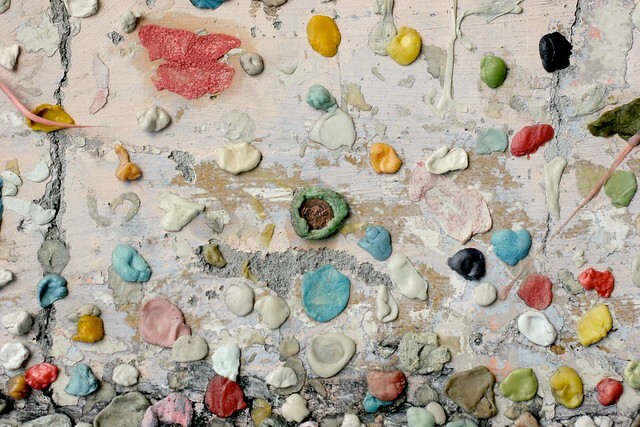 Apparently there are other gum walls around the world. yuck yuck yuck 😛 !! !